The Mount Isa Inlier is a multiple deformed and metamorphosed Early to Middle Proterozoic terrain. The inlier has been subdivided into three broad north-trending Provinces – the Western, Kalkadoon-Ewen, and the Eastern Fold Belts, based on various tectonic, structural and paleogeographic criteria. The Eastern Fold Belt is subdivided into a further three zones, from west to east; the moderately deformed Wonga and Quamby-Maldon Sub-provinces and the structurally complex Cloncurry Sub-province. 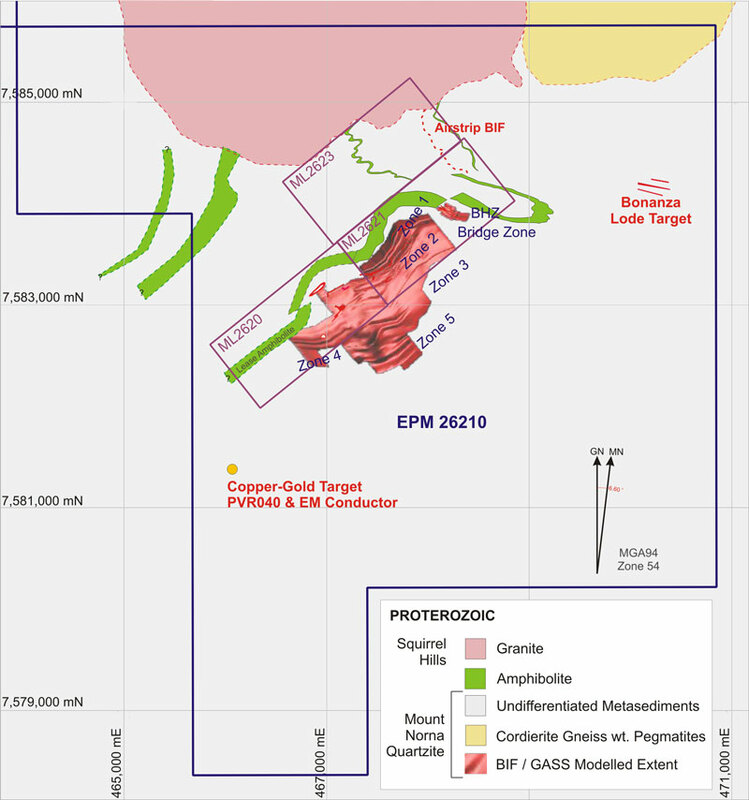 The Western Fold Belt contains the sediment hosted, stratiform world class Mount Isa, Hilton, George Fisher Lead, Zinc, Silver deposits and the Mount Isa copper deposit. The Eastern Fold Belt, in particular the Cloncurry Sub-province contains deposits of a different character including several significant iron oxide copper gold deposits (Ernest Henry, Osborne, Mt Elliot, and the Starra deposits) and Broken Hill type lead, zinc, silver deposits including the world class Cannington and several smaller examples of which Pegmont is the largest. The deposit scale geology at Pegmont has been the subject of a number of scientific studies including the unpublished Ph.D thesis of Vaughan (1980) and Newbery (1990) which was completed prior to the most of the drilling which occurred from 1998. There are few outcrops on the Property, therefore the Geological Frame work of the Pegmont deposit draws not only on surface fact mapping but is also heavily reliant on drillholes and interpretations of geophysical surveys. The informally named “Pegmont Beds” are a monotonous sequence consisting mainly of psammitic (quartz-feldspar-biotite) gneiss, feldspathic quartzite and psammo-pelitic (quartz-feldspar-biotite-muscovite) schist, with subordinate pelitic (quartz – muscovite – biotite ± graphite) schist. Narrow bands of tourmaline bearing schist are locally developed. The schists have a well-developed foliation and lineation and, in places, a crenulation cleavage. The sequence is thought to represent a metamorphosed clasitic sedimentary sequence, originally feldspathic and lithic sandstone and siltstone, with subordinate fine clastic (in part carbonaceous) sediment. The overall morphology of the stratiform mineralized horizon at Pegmont is a flat, gently easterly dipping sheet. The known mineralization extends approximately 2 km along strike and approximately 1 km in the down dip direction to the southwest. At present mineralization is known to extend to a depth of 350 m below surface. Lead-zinc mineralization occurs in the Main and Footwall BIF’s. Mineralization in the Main BIF is around 2 to 6 m thick.